So let's say that you have a fairly successful web site that spins off a decent amount of revenues every month. Even better, the site makes you a nice bit of cash that allows you to make your mortgage and car payment each month. However, you look on with envy at the sales of sites such as Auctionads. It is one thing to make a monthly salary from your web site; it's an entirely different thing to sell your site and make a bundle of cash all at once. I mean, it's the Internet; even if you sell your site, there are a thousand more web sites that you can develop. So the prospect of getting 2-5 times your monthly profits sounds pretty darned good. 1. Make sure that you have a detailed history of your traffic, income and expenses for the past 12 months. This will greatly assist in any purchase. A potential buyer wants to see all three of these things. Where is your traffic coming from? How are you making money? What are you spending money on? Buyers don't want to hear "I get about 50k uniques per month and make about $3k per month." They want charts, graphs and numbers. If you don't have a detailed stats package for your traffic, then install Google Analytics immediately (it's free.) And go back and print out statements and invoices that show your revenues and expenses for the past year. Organization will impress a potential buyer. You want to be able to give them exact numbers. 2. Determining a price. The basic rule of thumb is, 12-18 times revenues, and higher for profits. Normally people will value a business at 2-5 times annual profits. When it comes to valuing a website, there are other factors involved; level of traffic, how good the domain name is, etc. For instance, if you aren't really monetizing a site and you are getting a million uniques per day, you can't really value it based on the level of money that it brings in. 12-18 times revenues and 2-5 times profits is just a basic guideline to go by. There are other factors that may increase the value of your site. 3. Increase your contacts. The best way to let people know that your website is for sale is by word-of-mouth. If you maintain contacts with influential people in your industry and you tell them that the site is for sale, chances are that word will spread that wildfire. Blog postings will be made, IM conversations will be struck up, etc. This is a major reason why you should be in contact with the major players in your industry. 4. 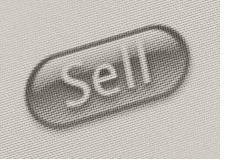 Listing your sale for sale. If it is a smaller site, then you would probably be best to list it on either Sitepoint or Digitalpoint. If it is a bigger sale, then you may want to approach companies directly. Try a company's Contact Us page and work from there. 5. Negotiating your price. You will be tempted to take the first offer thrown at you. Chances are, it will be for a lot of money. Don't take the first offer, as it will probably be a lowball offer. Don't be afraid to negotiate, even though there is a lot of money at stake. If a company is interested, then they probably won't walk away if you reject their first offer. If a company does walk away, don't worry; there will be more companies waiting in the wings. 6. Completing the transaction. If the sale is for a lot of money, then I would highly recommend using Escrow.com. They will accept the money from the buyer, wait until all of the transferring of domains, etc. has taken place, and then forward the money to the seller. This takes all of the worry out of the transaction. For smaller transactions, make sure that you know who you are dealing with. Talk to them on the phone to verify who they are. Dig around a little bit on forums to see if there is any dirt on them. Make sure you get your money before transferring any domain names. 7. Tax planning. Consult with an accountant before completing the transaction. The tax man is going to want his cut. Make sure you figure out how much Mr. Taxman will want, and then put it aside in a separate bank account so that you don't touch it.